3 Types of People Who Should Take Creatine - Are You One Of Them? Creatine seems to always be a topic up for debate. Is it good? Is it bad? Here are some surprising types of people who can benefit the most from creatine supplementation. As one of the most researched supplements in the world, with studies dating back to as early as 1912 in the halls of a little university named Harvard, creatine is a supplement superstar. Despite its early roots, creatine didn’t explode onto the sports performance scene until 1992 after several Olympic gold medal winners reportedly used creatine supplements prior to that year’s Olympics in Barcelona (1). What is Creatine and Why Would I Take It? Creatine is a molecule present in humans that plays a role in the phosphagen energy system. This energy system is responsible for fueling quick, intense bouts of energy like sprinting, weightlifting, or running away from danger. The phosphagen energy system involves creatine and its eventual conversion(s) to combine with ADP (diphosphate) to form ATP (triphosphate)(2). Since ATP is the energy currency of muscular work and cells in general, this allows muscles to pump out more work after initial fatigue sets in. Further highlighting one point on creatine, it is present in our body at all times. What we don’t consume from exogenous sources like animal flesh, our body synthesizes. It’s perfectly natural and plays an important role in the body. Okay, now that we’ve got the backstory and basics of creatine down, let’s look at who should take creatine. Most people think of massive weight lifters or offensive lineman when they think of creatine, but research has shown where creatine supplementation may improve several mechanisms for fat loss and improvements to lean mass. One health marker creatine supplementation has been shown to improve is insulin sensitivity, or a person’s tolerance for glucose (sugar). Creatine improves weight loss via insulin balance. To simplify, insulin is a hormone that is released to balance out your blood sugar. If your blood sugar is too high, insulin will put it to use as energy or store it somewhere, likely fat, to normalize your blood sugar levels. Insulin shouldn’t be demonized, as it can be extremely anabolic and useful for muscle building, yet many people struggle with insulin resistance and glucose tolerance. Improvements to insulin sensitivity allow you to put ingested carbohydrates to better use and store less fat, plain and simple. The good news is that research has shown creatine supplementation to positively affect postprandial (after a meal) blood glucose levels (3). While the study didn’t show a direct impact insulin sensitivity, glucose tolerance is closely associated with insulin resistance and pre-diabetic symptoms. Therefore, it seems creatine’s potential to improve glucose tolerance may be of benefit to anyone concerned with their body composition and health status. And as a teaser for a future point below, creatine’s potential impact on muscle and strength gain make it even more body composition-friendly. Increases to lean muscle mass cause the body to burn more calories at rest, creating a better environment for minimizing body fat. As a final note on creatine for fat loss, beware of its effect on weight gain. It sounds counterintuitive, but creatine causes intracellular water retention, leading to weight gain. It’s important to differentiate between weight gain and fat gain. 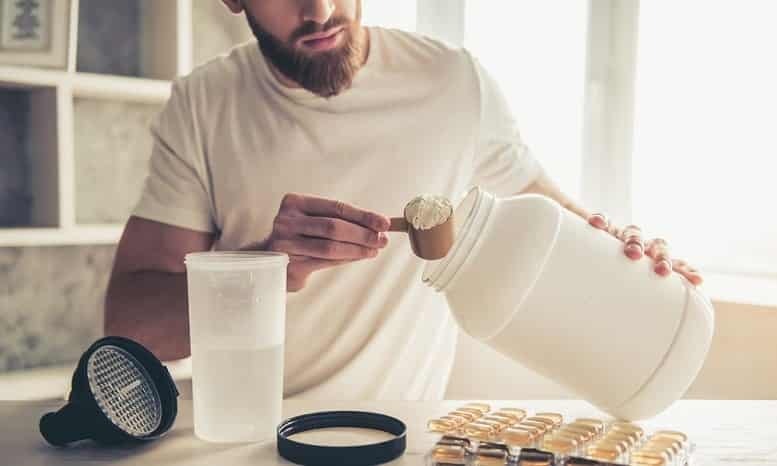 Losing fat and gaining weight at the same time is perfectly feasible and more than likely will occur in the beginning stages of creatine supplementation. This weight gain, for most people, is no more than a few pounds. This may be the most obvious type of person who should take creatine and for good reason. 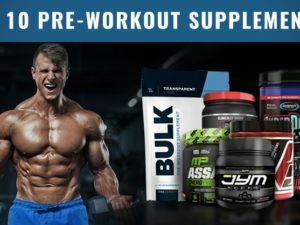 Studies on creatine supplementation have shown incredible effects on strength, power, and anaerobic (short, intense efforts like weightlifting or sprinting) endurance. In one case, researchers demonstrated power output increases of up to 26%(4). These studies and the massive body of research on creatine show that creatine positively impacts nearly every component of muscle hypertrophy and strength development. If supplementing with creatine allows you to explosively lift more weight, you will achieve more training volume and progressive overload and faster rates. What’s more, you will achieve greater time under tension and muscle damage by moving heavier objects. And finally, creatine’s effects on anaerobic endurance could lead to a greater accumulation of metabolic waste. It’s a no-brainer. In addition to its effects on power output and performance enhancement, creatine aids all cellular function. While creatine is widely accepted as a neuroprotectant, its impact on well-being and cognitive function is a bit lesser known. Researchers, however, are uncovering more and more data on creatine’s effects in this realm. Several studies have shown creatine supplementation to reduce depression and fatigue in subjects. It’s worth mentioning these studies, despite their small sample size, showed more than promising results. One study on fatigue reduction, for instance, demonstrated a reduction of the frequency of fatigue and headache symptoms from 90% to 10% after six months of creatine supplementation (5). In another study, supplementing with 4 g/day led to a 56% reduction in depression over an eight-week period (6). It also appears that creatine may enhance selective serotonin reuptake inhibitors (SSRI) therapy (7). Research aside, if creatine supplementation leads to improvements in body composition and performance, feeling better can’t be far behind. Apart from endurance athletes, the growing body of scientific evidence suggests that creatine supplementation may benefit nearly everyone in the general population. The recent developments in the neurological field are very promising in regards to creatine’s potential aid in Parkinson’s Disease, Huntington’s Disease, and ALS, among others. The only reason I’ve excluded endurance athletes would be because of the weight gain caused by creatine. For competitive purposes, this water retention could create inefficiencies and loss of a competitive advantage. If weight is not an issue or could benefit an endurance athlete, creatine may only be of benefit. You can view the types of creatine that we recommend right here. 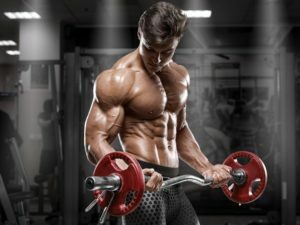 Creatine’s effects on strength and power development make it a no-brainer for anyone looking to gain muscle or improve strength and performance. The potential improvements to glucose tolerance and lean muscle mass make creatine a viable option for those seeking fat loss who aren’t concerned with (potential) initial weight gain. If you are taking SSRIs or struggle with fatigue, depression, or mood swings, creatine may be worth supplementing or at least researching further. Promising research in the neurological field makes preemptive creatine supplementation an interesting idea for anyone with a family history of neurological disease. Overall, creatine’s low risk and low cost make it a no brainer for nearly anyone and everyone. If you’ve consulted with your physician prior to supplementing, creatine should have a place in your cupboard.